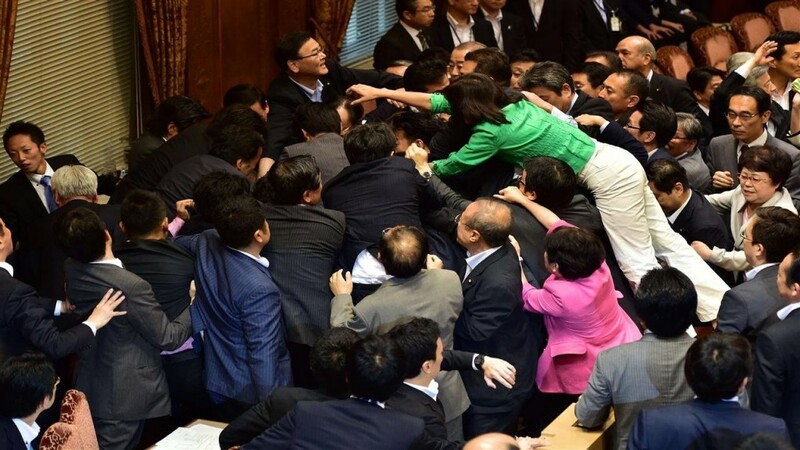 Mass brawls broke out in the Japanese parliament as opposition members tried to prevent the ruling party from being able to hold a vote on a contentious new law. When attempts to delay the vote by other means failed, the politicians physically prevented it from taking place by pushing and shoving each other, before more violence broke out live on national television. 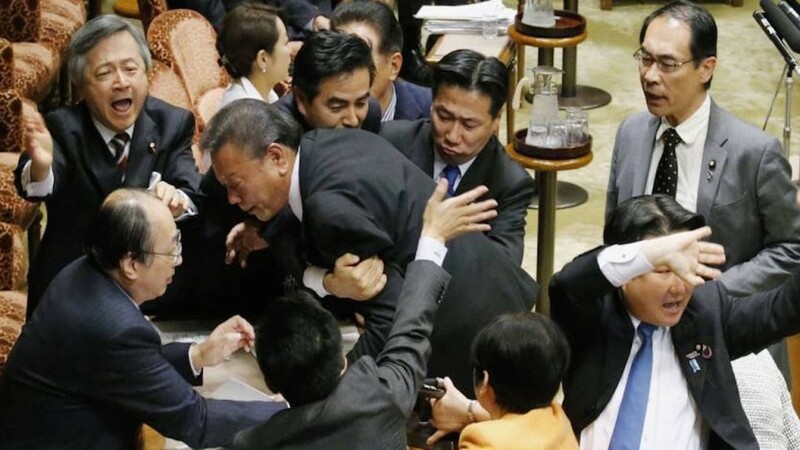 The brawl broke out as the politicians were set to vote on a controversial amendment to a law that was introduced after World War II. It focuses on Japan’s ability to send troops overseas to fight, something that has been banned by the constitution because of a pacifism clause that was inserted in 1945. The leading political party wants to introduce changes that would allow troops to be deployed abroad in cases of emergency. However, the bill has faced strong opposition from those who believe it will mean that Japan would become involved in conflicts with the US around the globe. They argue that the armed forces are only needed for self-defence and there should be no reason to send them to other nations. Recent polls suggest that more than 50% of Japanese residents are opposed to the changes to the law.